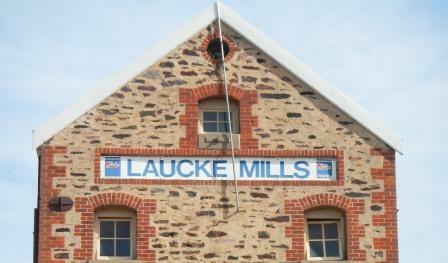 The Victorian Coalition Government has awarded Laucke Flour Mills Pty Ltd. with a $87,500 “Investing in Manufacturing Technology“ (IMT) grant under the fourth round of the IMT program, which has been designed to increase the competitiveness of businesses by stimulating investment in new technology. According to the media release by the Premier of Victoria, Laucke Flour Mills Pty Ltd will use the funds to acquire new high-tech equipment, which will help the company improve product quality and production efficiency and gain competitive advantage both on the domestic and foreign markets. “I congratulate Laucke Flour Mills, Australia’s oldest flour miller and leading supplier of specialty flours and mixes for retail and trade markets, on its significant investment in its future,” Minister for Manufacturing David Hodgett said during a tour with candidate for Ripon Louise Staley. Laucke Flour Mills is one of 19 companies to be awarded a total of $3.6 million under the fourth round of the IMT program. The projects supported in this round represent an investment of more than $20.6 million in new technology. The businesses leading these projects will deliver increased competitiveness, new skills and generate at least 167 new jobs, with further193 jobs transitioned to higher valued roles. In total, the IMT program has invested $62 million and has created 440 new jobs. According to Mr Hodgett, the IMT was a key initiative of the Victorian Coalition Government’s Manufacturing Strategy. “These grants are an excellent example of how new technology is helping to improve production processes, develop new skills and take advantage of a range of innovative export opportunities,” Mr Hodgett said. Laucke Flour Mills Pty Ltd.